When asked what church attenders would like to see priority given to in the coming 12 months, spiritual growth and building a stronger sense of community in their church were top of the list. These findings come from the 2016 National Church Life Survey, when adult church attenders were asked for their opinion about what should be given priority by their local church in the next year. The survey question posed 12 options for current priorities. ‘Spiritual growth (e.g. spiritual direction, prayer groups)’ and ‘Building a strong sense of community within this local church’ were most commonly selected responses, chosen by a third of churchgoers (~32%). The third most common response was ‘Worship services that are nurturing to people’s faith’. These three top priorities clearly display a spiritual fervour amongst those who attend church. It could be argued that these desires reveal the primary purpose attenders hold for going to church: to be spiritually nurtured and fed as part of a worshipping community. In fact, these three priorities align with the NCLS Internal Core Qualities which focus on the inner life of churches: Faith, Worship and Belonging. Do attenders have an alive and growing faith? Do they experience vital and nurturing worship and do they feel a strong and growing belonging? These ‘internal’ core qualities are regarded as foundational to church life. This is a reminder of the main qualities of church life that church attenders value, enjoy, and see as most central to their experience of church. Overall, there were differences between age groups. In general, those aged younger than 60 chose spiritual growth as their highest priority and building community as their second choice. Those aged 60 and over gave highest priority to building community, followed by nurturing worship and third, spiritual growth. Attenders in different denominations vary in their priorities. Attenders in Uniting churches chose nurturing worship first and spiritual growth second. Following the top three responses, came ministry oriented choices – attenders are clear they want to be involved. ‘Encouraging people’s gifts and skills’, ministry to children and youth and ensuring new people are welcome here all align with the development and growth of ministry. Using gifts and skills in a ministry of all believers, nurturing future generations and newcomers all build a picture of strengthening the life of the church. Lowest on the list of priorities were social action, faith sharing and new approaches, church plants or mission ventures. This may reveal an internally focussed attendership, one that wants to develop and grow the internal life of their church, spiritually feeding people, bringing people in to the congregation and empowering them to contribute and belong. Whether that comes at a cost of losing an outward focus into the local neighbourhood is open for question. Sam Sterland, Ruth Powell and Kathy Jacka Kerr, NCLS Research. Data Source: Powell, R., Pepper, M., Hancock, N. and Sterland, S. (2017) 2016 NCLS Attender Survey [Data file]. Sydney: NCLS Research. This year’s theme for Reconciliation Week is “Don’t Keep History A Mystery: Learn. Share. Grow”. It is an opportunity for all Australians to learn more about Aboriginal and Torres Strait Islander cultures and histories, to share that knowledge and help us grow as a nation. (There will be many events during this week, including on Sorry Day, which remind and raise awareness among politicians, policy makers and the wider public about the significance of the Stolen Generations, and the profound and damaging impact that this has had, and continues to have, on Aboriginal and Torres Strait Islander people. It is also a time to celebrate their survival, culture, and community). Reading Henry Reynold’s book, ‘Why weren’t we told:a personal search for the truth about our history‘, was a revelation – and an awakening. It describes the author’s own journey from ‘innocence’ in his Tasmanian childhood, to facing the realities of race when he moved to North Queensland. He recognised the glaring reality didn’t match the two myths generally accepted in Australia at the time – that Australia was settled peacefully, and terra nullius. Reynold’s named starkly the reality of massacres of Aboriginal communities and other uncomfortable and ‘inconvenient’ truths. In 1968, WEH Stanner offered a challenge in his Boyer lectures to break the ‘Great Australian silence’ about Australia’s Aboriginal past. Speaking truth is a pre-requisite to reconciliation, past and present. The 2018 Reconciliation Theme, Don’t Keep History a Mystery: Learn.Grow.Share’ is an opportunity to ‘break the silence’. The future of our nation depends on it. The Australian Reconciliation Barometer (the Barometer) is one of the tools to assist us to understand how the nation is performing on its reconciliation journey. The Barometer is a biennial, national research study, conducted by Reconciliation Australia since 2008. The Barometer measures attitudes and perceptions towards reconciliation, and maps our progress towards the five dimensions of reconciliation – race relations, equality and equity, institutional integrity, unity and historical acceptance. Australia can only achieve full reconciliation where there is substantive progress across all five areas. The 2016 Barometer tells us that since 2014 an increasing number of Australians are proud of Aboriginal and Torres Strait Islander cultures and believe these cultures are important to Australia’s identity as a nation. Almost all Australians continue to view the relationship between each other as important and many believe that it is possible that all Australians can be united. The Barometer findings reveal that the majority of Australians maintain positive attitudes towards reconciliation. However, disappointingly, there is significant evidence that these positive attitudes have yet to translate into improved behaviours across a wide range of sectors in Australian society, including the workplace, law-enforcement agencies, and the education and community sectors. More Australians, both Aboriginal and Torres Strait Islander Australians and other Australians, now agree that Australia is a racist country. This racism is reflected in increasing incidents of prejudice experienced by Aboriginal and Torres Strait Islander Australians. The Barometer also identifies continued misunderstandings between Aboriginal and Torres Strait Islander Australians and other Australians. Both groups believe they offer more trust to the other than is returned. Reducing the perceived “trust gap” is critical to improving confidence in relationships between First Australians and the wider Australian community. Further, there is still misunderstandings within the wider Australian community about the causes of Aboriginal and Torres Strait Islander inequality. It is encouraging to note that in relation to settlement in Australia, more Australians now accept key facts about Australia’s past institutional prejudices against Aboriginal and Torres Strait Islander Australians and feel that the wrongs of the past must be rectified before all Australians can move forward. In assessing perceptions, attitudes and behaviours within both Aboriginal and Torres Strait Islander communities and the general Australian community, there are some positive signs of progress. The findings also show us that there is still much to do to achieve our vision of a reconciled nation across the five dimensions. For those planning worship this Sunday for Reconciliation Day on May 27th, consider using an Acknowledgement of Land (here’s some we use at Pilgrim) and resources prepared for the day. 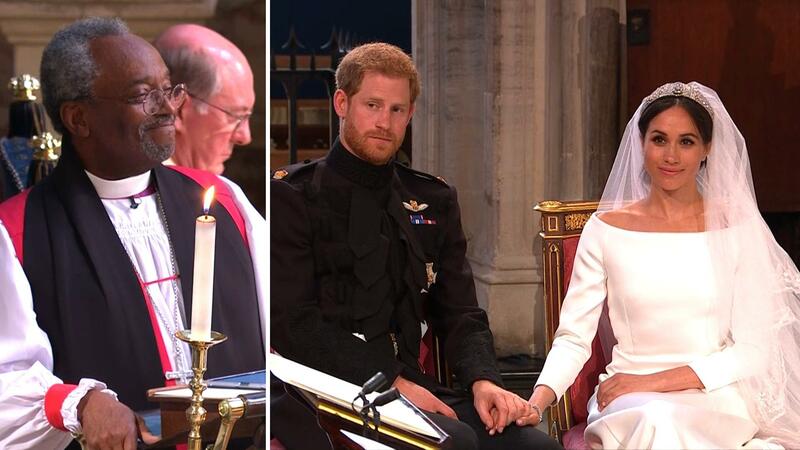 Bishop Michael Curry preached the homily at the Royal Wedding of Harry and Meghan. The text is printed below. 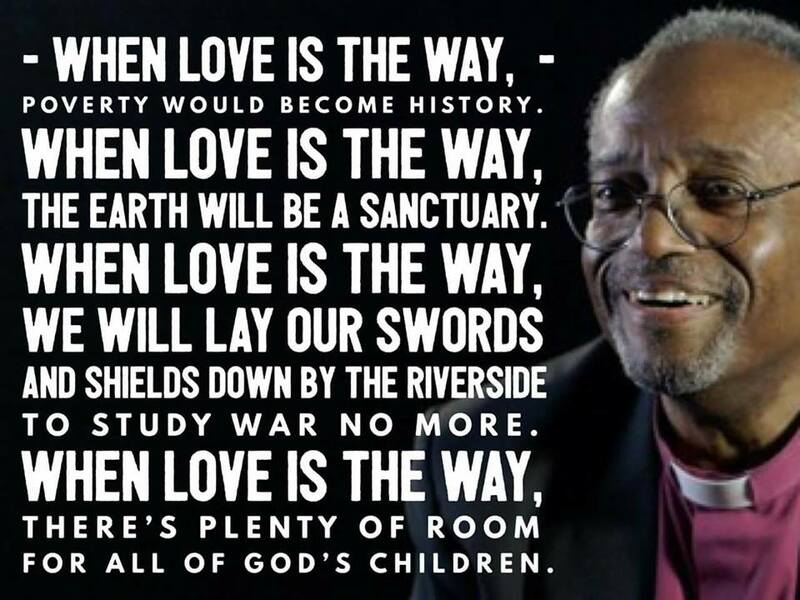 Even without Michael’s enthusiastic delivery (you can watch it here), the text is inspiring with it’s focus on the redemptive power of love. What a beautiful day for love to change the world. Love is not selfish and self-centered. Love can be sacrificial. And in so doing, becomes redemptive, and that way of unselfish, sacrificial, redemptive love, changes lives. And it can change this world. If you don’t believe me, just stop and think or imagine. Think and imagine, well, think and imagine a world where love is the way. Imagine our homes and families when love is the way. Imagine neighborhoods and communities where love is the way. Imagine governments and nations where love is the way. Imagine business and commerce when love is the way. Imagine this tired old world when love is the way, unselfish, sacrificial redemptive. When love is the way, then no child will go to bed hungry in this world ever again. When love is the way, we will let justice roll down like a mighty stream and righteousness like an everflowing brook. When love is the way, poverty will become history. When love is the way, the earth will be a sanctuary. When love is the way, we will lay down our swords and shields down, down by the riverside to study war no more. When love is the way, there’s plenty good room, plenty good room, for all of God’s children. Because when love is the way, we actually treat each other, well, like we are actually family. When love is the way, we know that God is the source of us all and we are brothers and sisters, children of God. My brothers and sisters, that’s a new heaven, a new earth, a new world, a new human family. And let me tell you something, old Solomon was right in the Old Testament, that’s fire. Pierre Teilhard de Chardin and with this, I will sit you down. We’ve got to get you all married. French Jesuit Pierre Teilhard de Chardin was arguably one of the great minds, one of the great spirits of the 20th century. A Jesuit, Roman Catholic priest, scientist, a scholar, a mystic. In some of his writings, he said from his scientific background as well as his theological one. In some of his writings, he said as others have, that the discovery or invention or harnessing of fire was one of the great scientific and technological discoveries in all of human history. Fire to a great extent made human civilization possible. Fire made it possible to cook food and to provide sanitary ways of eating which reduced the spread of disease in its time. Fire made it possible to heat warm environments and thereby made human migration around the world a possibility, even into colder climates. Fire made it possible, there was no Bronze Age without fire, no Iron Age without fire, no industrial revolution without fire. The advances of science and technology are greatly dependent on the human ability and capacity to take fire and use it for human good. Anybody get here in a car today? An automobile? Nod your heads if you did, I’m guessing, I know there were some carriages. But those of us who came in cars, the controlled harnessed fire made that possible. I know that the Bible says, and I believe it, that Jesus walked on the water, but I have to tell you I didn’t walk across the Atlantic Ocean to get here. Controlled fire in that plane got me here. Fire makes it possible for us to text and tweet and email and Instagram and Facebook and socially be dysfunctional with each other. Fire makes all of that possible and de Chardin said that fire was one of the greatest discoveries in all of human history. And he then went on to say that if humanity ever harnesses the energy of fire again, if humanity ever captures the energy of love, it will be the second time in history that we have discovered fire. Dr. King was right, we must discover love. The redemptive power of love. And when we do that, we will make of this old world a new world. My brother, my sister, God loves you. God bless you. And may God hold us all in those almighty hands of love. The President of the Uniting Church in Australia Stuart McMillan and UnitingWorld National Director Dr Sureka Goringe have written to churches in Indonesia to express sadness and solidarity after the tragic church bombings in Surabaya, Java on Sunday. 11 people were killed in the explosions and more than 43 were wounded in what has been called the worst terrorist attack in Indonesia in more than a decade. A congregation of our GKI partner church in Java was one of those targeted, wounding an Elder and several young members. A prayer has been written for the victims of the Surabaya attacks, and Uniting Church members and UnitingWorld supporters are invited to use the prayer to join in solidarity with churches in Indonesia. – the gift of family, friends, a home, our possessions. Lord hear us/ Lord hear our prayer. Amen. According to one report, it is anticipated that Australians will have spent a whopping $733 million on Mothers Day in 2018. It is sobering to realise that many communities in developing countries still live in extreme poverty. West Papua has a staggeringly high number of people living below the poverty line. More than 27% live on less than $2 a day. The women live on an isolated small island on a lake in West Papua, on the far limits of Papua’s most modern city, Jayapura. People here still travel between the islands using wooden canoes. Many of the women work two jobs while raising children. Most of their husbands are fishermen, but fears of local overfishing has pushed their work out to sea and into the city where they make meagre earnings. Uniting World is investing in the women’s skills so that their business can grow. ‘Our local partners have been running business training and are helping them buy industrial sewing machines to help them expand their business to include bags and clothing with their traditional designs”. Empowering these women has huge flow-on affects for the community. Making positive changes for women affects all of society. The women’s hard work enables them to send their children to school; many of them never had the chance themselves. “Our local partners are working on strategies that invest in critical aspects of life: food security, health, women’s incomes and the future of children. They need our support to continue to make projects like these a reality”. 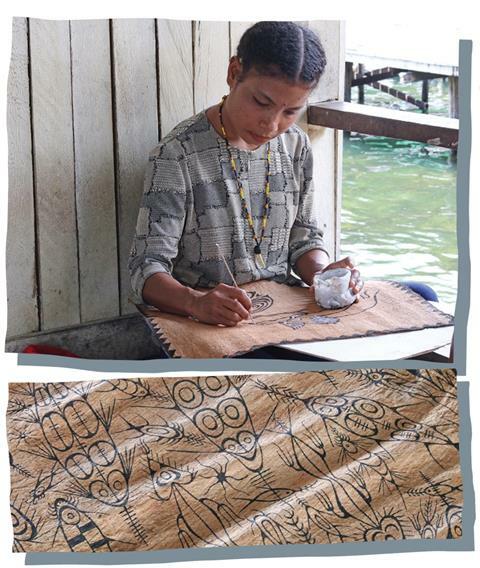 Perhaps you might consider investing in these skilful women and their projects that are helping people grow a new future in West Papua. Visit www.unitingworld.org.au/papua or call 1800 998 122 to make a donation, or talk with Julie in the office if you don’t have access to a computer. 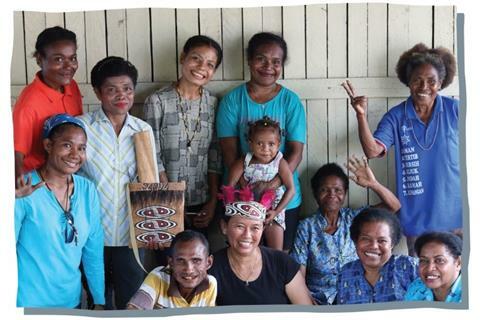 (Following the review of all of the international mission partnerships at the Annual Presbytery and Synod meeting in October 2015, it was decided to ‘maintain a Partnership relationship with Gereja Kristen Injili Di Tanah Papua (Evangelical Christian Church In The Land Of Papua (GKI) via the principal framework and projects managed by Uniting World and directly through congregationally driven activities with a major focus on supporting educational activities and building relationships. Read more about the UCA SA Synod partnership here). On Tuesday May 9th, the Federal Treasurer handed down the 2018 budget, with the hope of being ‘in the black’ from next year. There will be ongoing commentary and analysis on the details of the budget. Every year, the budget allocates funding to overseas aid which improves the lives of millions of people around the world. It is an investment in a better future for our world and our neighbours. It also promotes Australia’s interests by contributing to sustainable economic growth and poverty reduction. In a globally interconnected world, less poverty and inequality is good for everybody. Social and economic stability reduces the risk of political instability, just as access to education for all plays a part in reducing the emergence of radicalisation and better equips communities to respond to it if it occurs – all of which benefits Australia in the long term. After significant cuts to overseas aid in recent years, the overseas aid budget was frozen in 2017 for 2 years, and in the 2018 budget this freeze has been extended for a further 4 years, dropping to its lowest level in our nation’s history at just 19 cents in every $100 of Gross National Income. The people who suffer the most are the millions of people who rely on Australian aid in our region. As a consequence of the cuts, there will be a greater reliance on the contribution from churches, aid agencies and charities, which will have to work even harder to close the huge gap in overseas aid.The spirit of generosity of ordinary Australians is reflecting in the fact that 80% contribute to organisations that help vulnerable communities. The Australian aid sector has been calling for an increase in overseas aid as a step towards returning our overseas aid budget towards levels in accord with our international obligations. Earlier this year, ACFID (Australian Council for International Development), of which the Uniting Church is a member through its agency Uniting World, had campaigned to prevent an additional $400 million in cuts to foreign aid that were being considered. These cuts were dropped, but the decision to freeze the foreign aid budget comes at a time when we see global inequality on the rise and millions of people fleeing violence and oppression. This is not a time when overseas aid can be put ‘on hold’ for four years, especially when we see what is happening in the lives of our global neighbours. In 2000, Australia signed on to the Millennium Development Goals (MDG), joining 199 other nations aiming to halve extreme poverty by 2015. But in recent years Australia has been shrinking from its role on the world stage. While other countries have increased their aid programs, Australian aid is now at its lowest level ever, falling to 19th of the 29 countries that give overseas aid. The hope is that a bi-partisan commitment can be made so that the overseas aid budget can reach 0.7% of GNI by 2030 commensurate with Australia’s international obligations and the commitments made as part of the MDGs. Australian aid provides opportunities for our global neighbours to build a better future. It is work we should celebrate now, and look back on with pride in years to come. Can we champion a response to reducing poverty that is as generous as the Australian people? Perhaps this something you feel strongly about, or you would like to know more? More information is available on the Campaign for Australian Aid website, and you can also find information on the Campaign for Australian Aid Facebook page. Campaign for Australian Aid is a joint initiative of Make Poverty History and Micah Challenge coalitions for all Australians who believe we can and should do more as a nation to end extreme poverty around the world. 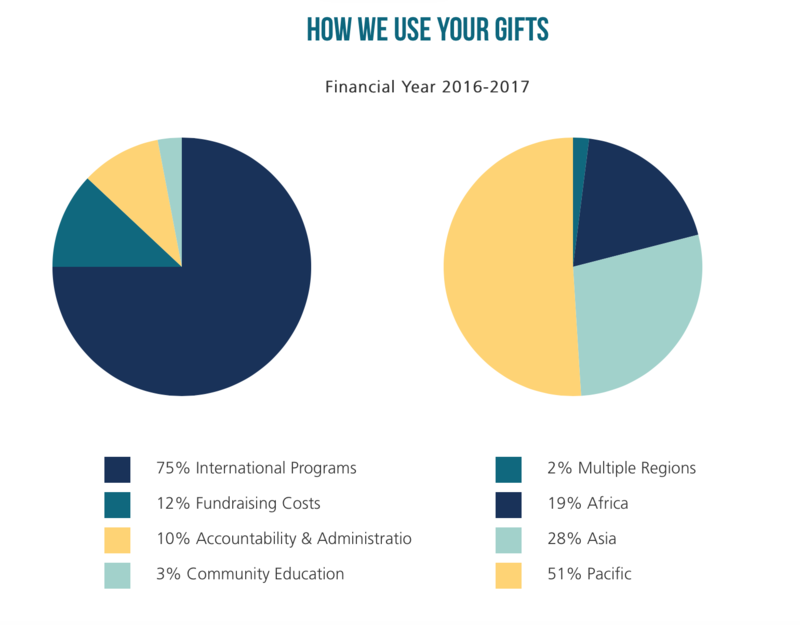 Sandy would be glad to chat with you about this if you would like more information, or would like to learn about the impact on our partner churches supported through Uniting World. Perhaps you might consider writing to or arranging a meeting with your Federal MP to share you concerns about this important matter? (This article includes information collated from statements from ACFID, World Vision, Uniting World and Campaign for Australian Aid)Overseas aid as well as the contributions of individuals, groups and churches, is essential to supporting our partner churches in Asia, Africa and the Pacific through the UCA agency Uniting World. The diagram shows how this funding is used. The Uniting Church’s national Assembly has an important conversation about marriage coming in July. Here’s a link to the report and recommendations. Here’s a video intro by past-President and Chair of the Doctrine Working Group Rev Alistair Macrae. The release of the Assembly papers on Monday has heightened the diversity of views held on same-gender marriage within the Uniting Church in South Australia.This topic has been painful for some. I acknowledge that this has been a particularly difficult time for ministers and church leaders. It has been challenging for many to hold their congregations and faith communities together given the diversity of views and strength of conviction held by individual members of each church. We have always been a diverse church since our inception when the leaders of the three denominations agreed to focus on Jesus’ call to unity and come together to form a new Christian movement for the Australian context. What we can often forget is how costly that was, as differences of opinion and theology were intentionally held apart for the sake of union. The Uniting Church has a history of working together, even through diversity and challenging times. In anxious times, it is easy to forget that we do have helpful policies that can guide and protect us as leaders. These policies remind us of our responsibilities in keeping our conversations around the Assembly respectful at all times, so all God’s people feel valued and safe. “As specified in section 3.6.3.2 (g) of the Uniting Church Constitution and Regulations handbook, the Moderator speaks on public issues for the church. The Moderator is the only official spokesperson for the church. The Moderator can, if the circumstances are appropriate, authorise a suitable qualified person to represent the Uniting Church in South Australia to the media on his/her behalf. is also to be noted by leaders, and in particular, that the Moderator is the official spokesperson for the Uniting Church in South Australia.” Any request by media to a minister or lay leader for an interview, must be referred to the Moderator’s office first. In the matters before the 15th Assembly, the Moderator alone will be the Uniting Church SA spokesperson to the media. As we pray for the members of Assembly, we give thanks for those members who have offered themselves to be our people from South Australia. These members are called to be open to the Holy Spirit in the context of the Assembly and to discern together the way of Christ for the Uniting Church in Australia. There are many important matters for discussion at the 15th Assembly in addition to marriage, including the domestic violence policy, the Royal Commission into Institutional Responses to Child Sexual Abuse, and the sovereignty of Aboriginal people. There are things that people value about UCA: diversity, covenant with first people, justice, inter/cross cultural, emerging leaders and leadership open for every member. Thank God for Uniting Church.